Born one of 12 children in Horse Creek, Fla., in 1863, Morgan Bonaparte "Bone" Mizell grew to a lanky 6-foot-5 before he was immortalized by famed Western artist Frederic Remington in a painting published in the August 1895 issue of Harper's New Monthly Magazine. 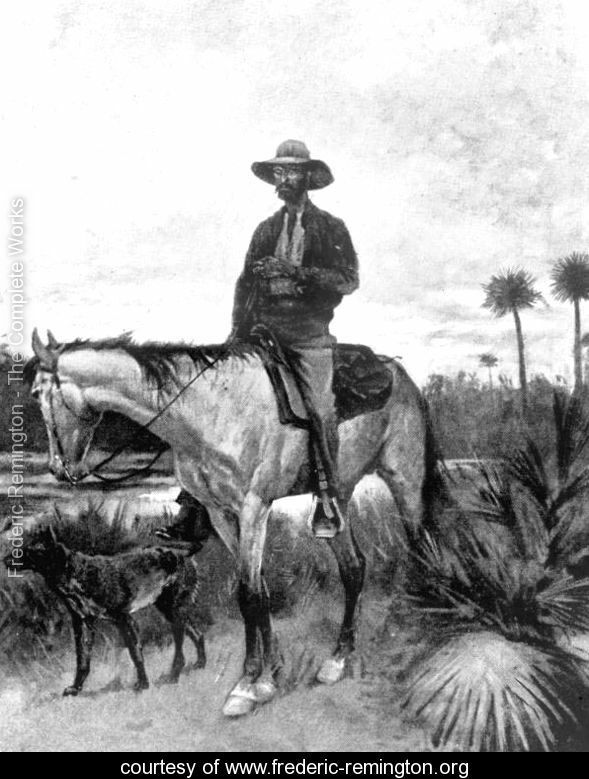 The name of the painting, "A Cracker Cowboy," helped popularize the term "Florida Cracker" that today refers to people born in the state. Mizell was a legendary cowboy and operated on both sides of the law around Arcadia in DeSoto County, rustling cattle for the state's top ranchers when he wasn't stealing from them. A charismatic teller of lies and profligate drinker of spirits, Mizell was well-known for his ability to elude prosecution, even when caught dead to rights. One famous story had him arrested and brought before a judge whose cattle he had just rustled and sold as "strays." He was released after reminding the judge of the hundreds of other heads of cattle he had rustled and re-branded as the judge's. He died at age 58 after passing out on a sofa in a train depot in Joshua Creek. The undertaker entered his cause of death as "Moonshine--went to sleep and did not wake up."